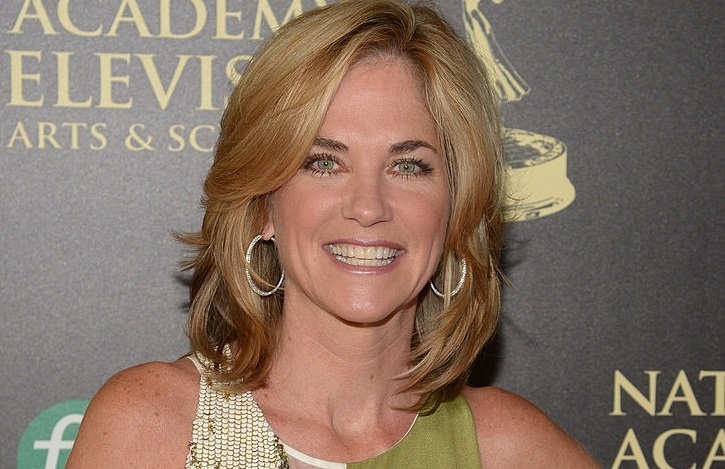 Emmy nominated actress Kassie DePaiva has revealed that she is battling acute myeloid leukemia (AML). Best known for her portrayal of Blair Cramer on One Life to Live, and her work as Chelsea Reardon on Guiding Light, she most recently starred as Eve Donovan on Days of our Lives. Below is the message from DePaiva that was posted on her website on Thursday. I know that I have been quiet lately and I want to let you know what's been going on in my life. I was asked back to play Eve on Days and had begun my exciting return. During the 3 week July hiatus I was diagnosed with Acute Myeloid Leukemia and have spent 6 of the last 9 weeks in the hospital. I will continue treatment over the next 3 months. My prognosis is good, I will not likely need a stem cell/bone marrow transplant, and we expect a complete cure. I consider this just a bump in the road. I have amazing prayer warriors, family, and friends that have been extremely supportive and life affirming throughout this. I have a strong faith that strengthens me every step of the way. This has been a private matter but with Eve's return coming soon I felt it was time to let my loving fans know what's been going on. The Days and OLTL family love runs deep. Although I'm unable to be "camera ready" now... my goal is get back to stirring up trouble in Salem soon. Keep me in you thoughts and prayers. Leukemia remains a rare disease and there is a great need for funding and donations of Stem Cells/Bone Marrow, Platelets and blood. If you would like to contribute in some way please go to Cornellleukemia.com and join or contribute to the Leukemia Fighters group you will find on their website. You can also join their Facebook page. There is a tremendous need to find exact matches for stem cell/ bone marrow. If you would like to make a difference in someone's survival please go to BeTheMatch.org and find out how you can be a donor. If you would like to donate blood or platelets which Leukemia patients need a lot of, please contact your local blood bank or American Red Cross. According to cancer.gov, "adult acute myeloid leukemia (AML) is a cancer of the blood and bone marrow. This type of cancer usually gets worse quickly if it is not treated. It is the most common type of acute leukemia in adults. AML is also called acute myelogenous leukemia, acute myeloblastic leukemia, acute granulocytic leukemia, and acute nonlymphocytic leukemia. "In AML, the myeloid stem cells usually become a type of immature white blood cell called myeloblasts (or myeloid blasts). The myeloblasts in AML are abnormal and do not become healthy white blood cells. Sometimes in AML, too many stem cells become abnormal red blood cells or platelets. These abnormal white blood cells, red blood cells, or platelets are also called leukemia cells or blasts. Leukemia cells can build up in the bone marrow and blood so there is less room for healthy white blood cells, red blood cells, and platelets. When this happens, infection, anemia, or easy bleeding may occur. The leukemia cells can spread outside the blood to other parts of the body, including the central nervous system (brain and spinal cord), skin, and gums." We Love Soaps wishes the divine Ms. DePaiva all the best, and a complete, speedy recovery. We Love You, Kassie! God is great! Get well soon, Kassie.